UPDATED: Mon., April 10, 2017, 11:15 p.m. Hours before William “Bo” Kirk was kidnapped, robbed and murdered on the side of Hayden Creek Road on Oct. 22, he was talking to his wife about ice cream, and texting his daughter about a haunted house. For the first time since Kirk’s death, his family had a chance Monday to speak directly to David Hutto, who pleaded guilty in February to kidnapping, robbing and killing Kirk with his roommate and accomplice, Justin Booth. A judge Monday sentenced Hutto to three consecutive terms of life in prison. He was accused of kidnapping Kirk about 7:30 p.m. on Saturday, Oct. 22, after a road-rage incident in Post Falls that happened while Kirk was returning home from his job as an X-ray technician at Northwest Specialty Hospital. Kirk apparently flashed bright lights while driving behind Hutto and Booth, which enraged them, according to testimony. The pair apparently followed Kirk home to Coeur d’Alene and kidnapped him when he turned into his driveway. According to an exhibit prepared by the state with narration from the case’s lead detective, Sgt. 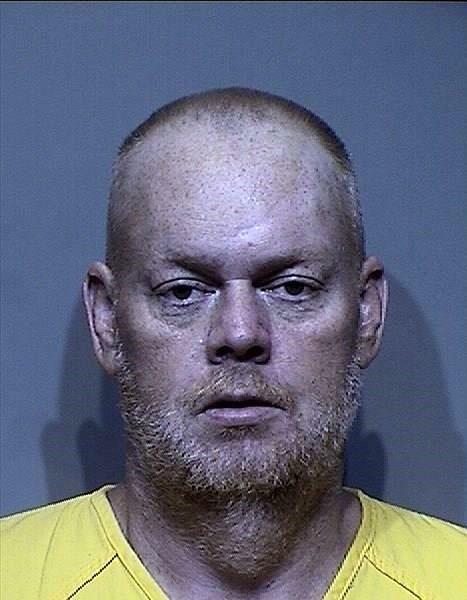 Ken Lallatin with the Kootenai County Sheriff’s Office, Hutto and Booth forced Kirk back into his truck at gunpoint and the two men split up – one man driving Booth’s truck, the other Kirk’s. They drove Kirk several miles away up near Hayden Creek in the Coeur d’Alene National Forest, where they finally pulled to the side of the road. Testimony from Hutto and Booth contradict, but detectives know that one of them led Kirk out of the truck and shot him in the back and continued to shoot him while he was on the ground. They left his body on the side of the road. They then returned to Coeur d’Alene and used Kirk’s stolen debit card to withdraw about $900 from his checking account at the U.S. Bank on North Government Way, according to testimony in court. The two were caught on multiple security camera videos driving the two vehicles and withdrawing the money. Hutto was seen in the videos wearing a black ski cap and black rubber gloves covered in wool fingerless gloves, his face covered with a black handkerchief. A gas station security camera caught Booth filling a 5-gallon gas can that would be used to douse Kirk’s 2015 GMC pickup in gasoline and set it on fire in the 23000 block of North Rimrock Road, not far from where Kirk’s body was found. The truck was noticed a few minutes after becoming engulfed in flames. Meanwhile, Kirk’s wife, Amanda, noticed the withdrawn funds from her bank account and called 911 operators around 9:21 p.m. asking for help. Kirk’s body was found the following Tuesday, and Hutto was arrested that Friday, Oct. 28. He originally was charged with second-degree murder, but those charges were amended to first-degree robbery, first-degree kidnapping and first-degree murder. Hutto pleaded guilty to the crimes Feb. 1. But they also used the platform to ask for the maximum possible sentence of three consecutive life terms. As part of a plea deal, the state agreed not to seek the death penalty, the Coeur d’Alene Press reported. By the end of the hearing, they got their wish. First District Judge Scott Wayman agreed with the state’s assertion that Hutto was likely to offend again and had a long history of prior felony convictions. Wayman also put a great deal of weight into the gravity of the crime. After Wayman pronounced Hutto’s three life sentences without the possibility of parole, Amanda Kirk burst into tears. Defense attorneys never argued that Hutto wasn’t guilty of the crime, but instead questioned whether he was mostly at fault or if Booth, who they believe was the mastermind behind the plan to kidnap and kill Kirk, was more at fault. They questioned why Booth was not charged with anything related to Kirk’s death, despite Hutto saying Booth was heavily involved in Kirk’s death during interviews with detectives. Booth is in federal custody on a charge of unlawful possession of a firearm – the same gun used in Kirk’s murder. Schwartz also raised doubt over Hutto’s mental health, stating that he was previously diagnosed with bipolar disorder, had experienced audio and visual hallucinations in the past and that he admitted to doctors he had a strong desire to harm others. Hutto, either through his own choices or that of law enforcement, apparently has had four stays in mental health facilities since 2005. The most recent treatment he received was at the Tropical Texas Behavioral Health Clinic in Edinburg, Texas, from 2009 to 2016, where he was diagnosed with major depressive disorder and anxiety. He was taking medication but stopped when he moved to North Idaho last year, according to court testimony, and wasn’t taking medication at the time of Kirk’s killing. Published: April 10, 2017, 12:48 p.m. Updated: April 10, 2017, 11:15 p.m.